While my grandsons were here yesterday coloring their little hearts out, I took out my Copics and sat at the table with them. I love to color and I am so happy my little Declan & Ryder are taking after Nana. 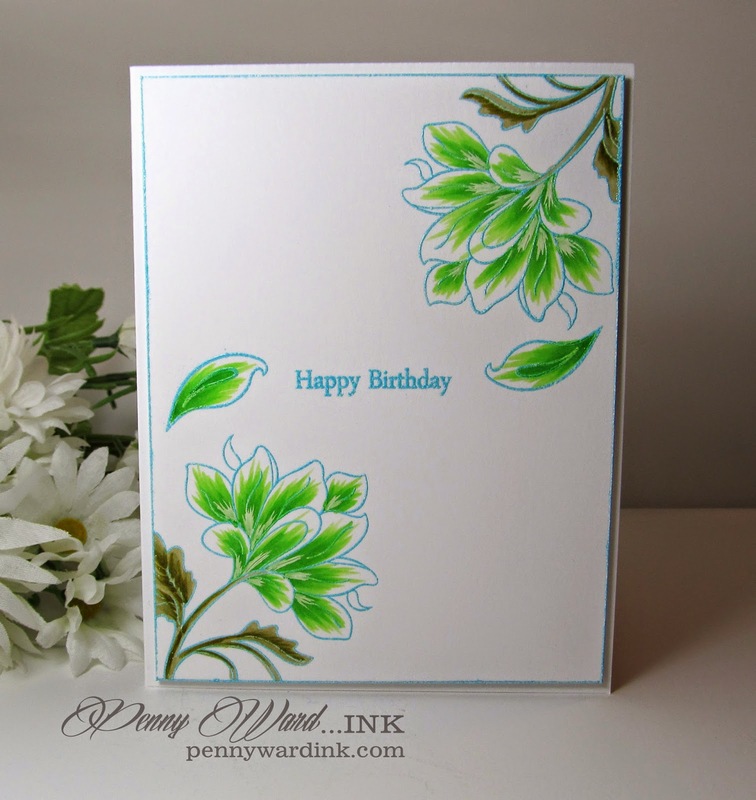 Stamped and heat embossed the flowers, sentiment and edges, then added a bit of Copics. Beautiful as always. I love the simplicity of the card as well as the combination of the colors. Those flowers look so pretty!! Love the way you colored them - such talent and they turned out beautiful!! Love your card it is just amazing!! I hope you are having a super good day!! Oh, I love your color choices! And I love having a giddy aunt!! Another stunning card -- just so pretty! 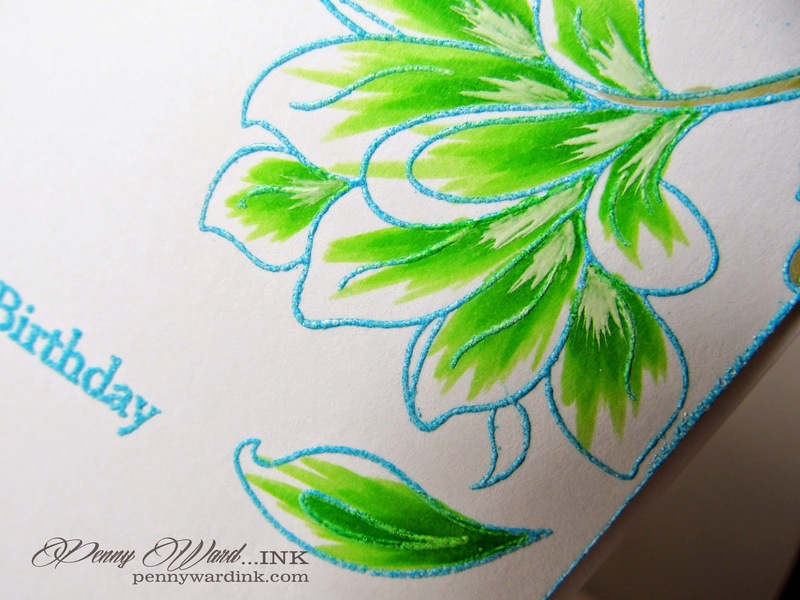 A stunning card Penny, I love the aqua embossed outline of the beautiful image and gorgeous green leaves!! I love the way you colored the flower - it is very special and very beautiful!